It seems like every celebrity I follow on Facebook or Instagram has been raving about FabFitFun. Sure, they're all paid to do it, but after watching star after star open their first box, I broke down and ordered a box of my own so I could see what the fuss was all about. 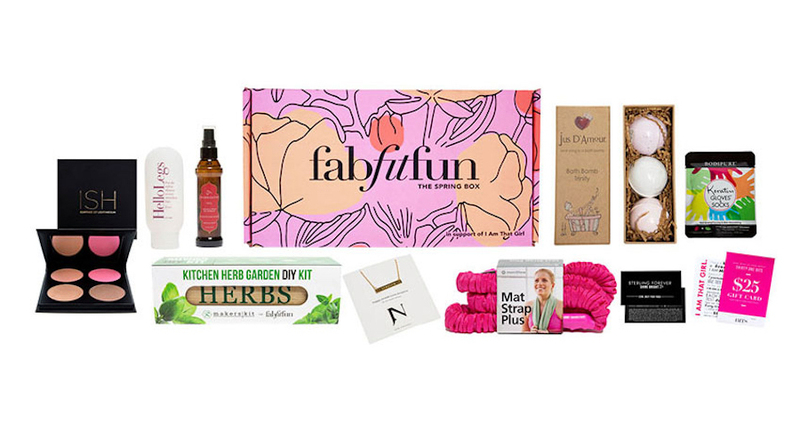 In case we don't follow the same people on social media, FabFitFun is a quarterly subscription service, which -- four times per year -- sends you hundreds of dollars worth of full-sized fashion, beauty, and fitness items for just $49.95. Because this is Brad's Deals and we love our deals, I used the code WELCOME to save $10 off my first box. 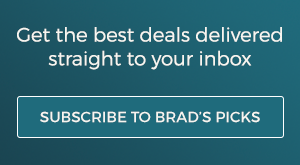 If you want to get even deeper into the discounts, choose their "Select Service" package for a total of $179.99/year, which will save you $20. If you order during the off season like I did, you'll get their Editor's Box, full of items hand-selected by FabFitFun editors and valued at more than $200. 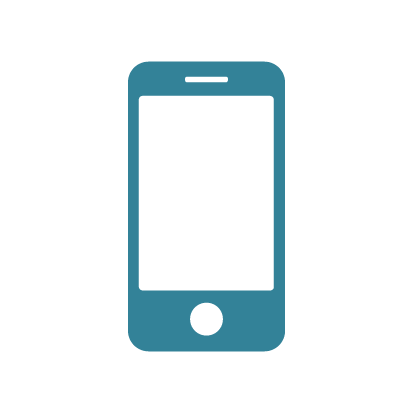 Remember, this is a subscription service, so if you don’t want to continue getting charged, don’t forget to cancel. Make a note on your calendar. Seriously. To help you decide whether or not this box is worth the hype, I've reviewed all the items in the Editor's Box based on whether I'm going to keep or re-gift them in the future. Hopefully none of my re-giftees ever read this! I ordered my box on December 24 and it was delivered on January 6, so the wait felt like forever. As you can imagine, I do a lot of online shopping, so the wait was especially long compared to what I am used to. When I finally got it, I was like a kid on Christmas morning tearing into it. I had seen a few videos with celebs opening their boxes, so I kind of knew what to expect, but I also was prepared for disappointment. Sadly, I didn't get the palette. I had steeled myself for the disappointment, but I was still disappointed. What can I say, I love eyeshadow! After I had already placed my order, I found I could have used the code PURE at checkout to guarantee I got it, but live and learn. If you want to buy it on your own, hit the sale section at Sephora. Beauty Insiders get a lot of perks (the more you spend, the more you save, including the rare 20 percent off friends and family for VIBs) but also keep an eye on sites like Jane.com, which features designer-inspired palettes for under $15 shipped on the regular. Topshop also has a good (but small) palette for $16. If only I had gotten this palette, I know it would have been a keeper! I LOVE this. I have a blanket scarf and I use it every single time I travel. 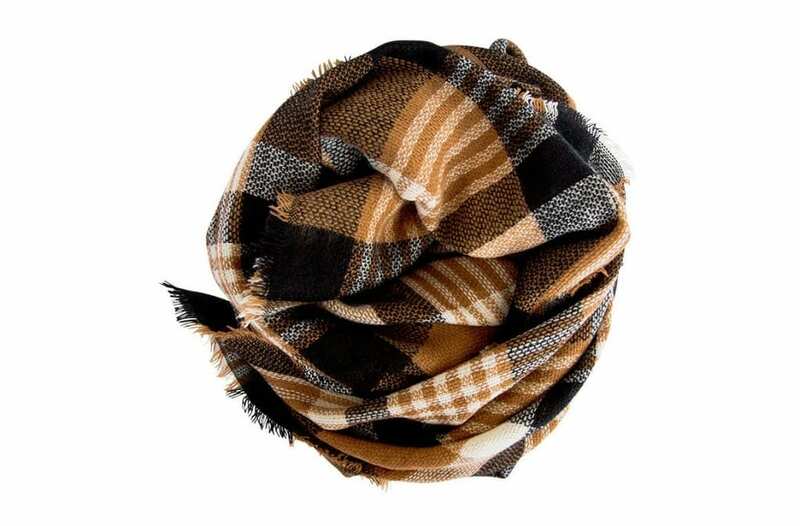 In winter, I use it as a scarf, but even in the summer I will use it as a blanket on a plane or even in the car. Chilly days in the office? I use it then too. It also comes in four colors, which I love. This is a great item, but you don’t need to spend $35 on a scarf. Remember when I mentioned Jane.com? They sell them all time, usually for under $12. While I wouldn't buy it for $35 myself, I will definitely use this scarf. I am trying to be better about using reusable mugs and this one is cute. But honestly, I am loving personalized items a little more than things like this these days, and you can get a personalized mug for $18 shipped from Gifts For You Now, which I think is much cooler. I am kind of meh on this one. 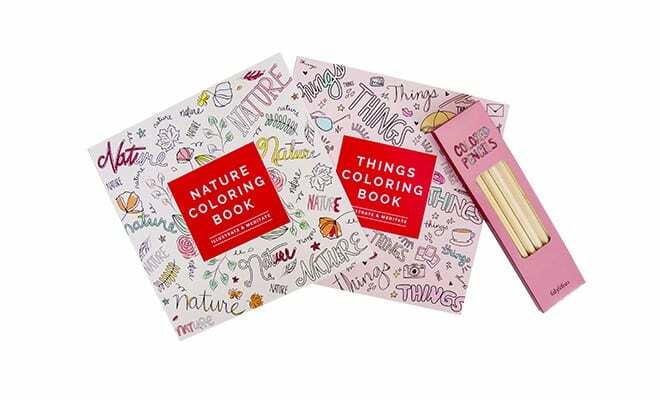 Adult coloring is all the rage, I get it, but I have one book already (with pencils) so this didn’t blow my hair back. You can find a ton of options on Amazon for less. I have been really trying to expand my lipstick color repertoire, so I was excited to get this. It is a deep neutral, so great for many skin tones, a bit mauve-y. I do like the texture -- it’s almost like a stain and gloss in one. Like I said, I stick to Sephora for most of my beauty purchases. 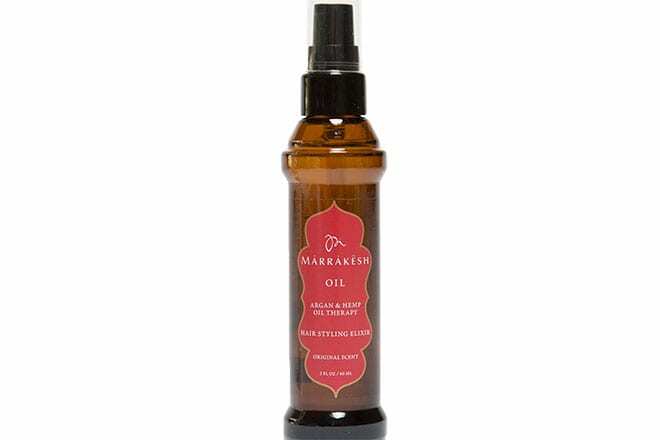 I have used Argan oil in the past but have never found them to be that great. I hate a sticky oil, and some Argan oils don’t smell great. This one is a bit musky, but the oil is actually pretty nice. I don’t think I would purchase this, but I will probably use it -- it made my hair smooth. Final verdict: Toss up between keeping and re-gifting. This was cool -- I usually use face peel wipes and this is a spray. It feels really light, but it works. It definitely left my skin feeling fresh and smooth. Test this out on your hand before you try it on your face, like any peel. 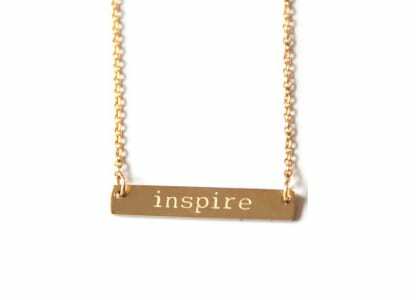 You’ll get a necklace with either "Happy," "Inspire," "Dream" or "Love" engraved on it. I got "Inspire." They are 18k gold over stainless steel, and are super cute, even though you can tell they are plated from their light weight. I’ll definitely wear this and since it is 17.5” I can style it layered with a shorter necklace. If you want something similar, check out BelleChic for inexpensive jewelry options. Final verdict: Keeper, although would make a great gift if you can part with it! This cream smells great and will sit on my desk for the winter. It really made my hands feel great, but a little goes a long way because the smell is strong. Final verdict: Since I opened it, it’s a keeper, but I would totally use this as a regift. I usually love Zoya nail polish -- It’s five-free and vegan friendly -- but the color of the one in my box (a pale mauve) was just okay. While I wasn't a fan of that shade, I would have loved one of the top winter colors. In the summer, Zoya usually offers a great deal of three polishes for $12 shipped, so watch our site around then to take advantage of that offer. Final verdict: I’ll probably regift this one, just because I don’t love the color. I was excited about this, as I've been meaning to try out Hello Fresh for a while now. 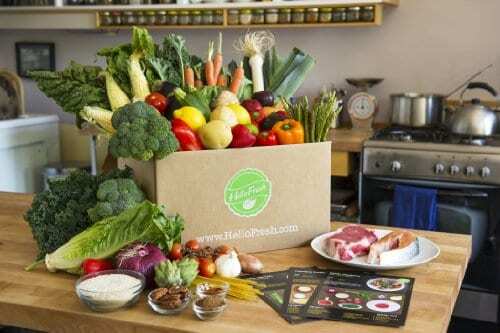 Hello Fresh is a meal delivery service that gives you all the ingredients you need to create healthy and delicious meals in your own kitchen. I'd actually already signed up for my first box when I got this discount, but I will be writing a review of this service next week, so stay tuned for that! Final verdict: I will regift this, since I already ordered, and it’s only valid on your first box. All in all, I am happy I ordered, and I will stay a member for now. I'll decide whether or not to cancel after I get the Spring box, which I am looking forward to. I probably would have had more fun with this box if I'd let it be a surprise and refrained from watching any unboxing videos, but those are what got me to order in the first place. I do love trying new products (I literally have bins of cosmetics and beauty products) and I love that these are full-sized items. You can’t regift samples, and it’s a nice to have the bigger size if you end up falling in love with something. I do wish they were a bit more transparent with the items you're getting, because I see a lot of people complaining about what DIDN'T come in their box. But my favorite part about FabFitFun is that now I have a little stash of items I can use as gifts, which is great for last minute invites or forgotten birthdays! So tell us, are you a Fab Fit Fun member? 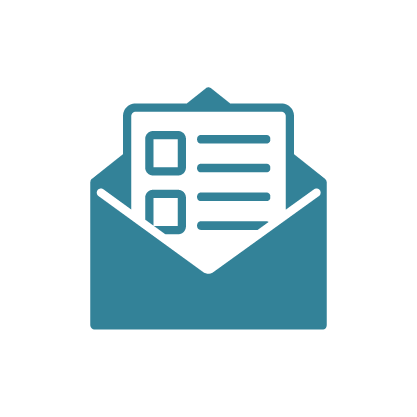 What did you think of your box, what were your favorite items, and will you order again? Let us know in the comments!